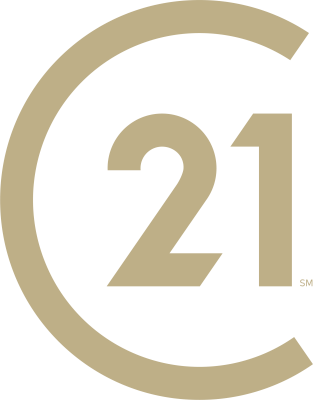 Century 21 First Coast is the evolution of a respected Real Estate company based out of Mandarin for the past 42 years. Previously known as Century 21 Atkins Realty, Pamela & Bob Atkins started the company in 1976 to provide the community with Real Estate consultants that put their customers first. Trust, Integrity & Passion are key attributes that are required for the Real Estate Professionals at C21. Century 21 Atkins Realty thrived for decades as a trusted brokerage in Mandarin through the ups & downs of the Jacksonville real estate market. In 2016, Pamela & Bob Atkins passed the reigns to Terrell Newberry so that their legacy could service a new generation. Terrell is a broker with vision & a commitment to excellence. An admired leader in the Jacksonville market, Terrell has established himself as an expert adviser in Real Estate. Mr. Newberry was the Northeast Florida Association of Realtors (NEFAR) President in 2016, the current Vice President of Florida Realtors District 1 and serves on the Budget & Finance Committee for NEFAR through 2018. His commitment to excellence attracts the best & brightest Realtors in Northeast Florida. But even Terrell would say that he cannot do it alone and he has built a team of administrators to provide more support to their Realtors than any other brokerage in town. A front desk coordinator, a marketing director, a broker associate and a chief financial officer support Terrell's vision to continue the Century 21 Atkins Realty legacy. Now, the unique boutique has embraced the new while incorporating the values of their heritage and have renamed themselves: Century 21 First Coast! Thirty five of the best Realtors in Jacksonville call Century 21 First Coast their home and the brokerage continues to expand as they house the top producing real estate teams of the River City. Recently expanding by 1,000 square feet, their remodeled 3,000 square foot facility is a modern, open office that encourages collaboration & entrepreneurship. Real Estate teams are looking to the brokerage as a place to build, grow & thrive with a forward thinking approach to residual income & innovative compensation structures. The future of Century 21 First Coast is a reflection of the growth Jacksonville currently experiences: explosive, bright & exciting. The data relating to real estate for sale on this web site comes in part from the Internet Data Exchange (IDX) program of the Northeast Florida Multiple Listing Service, Inc. Real estate listings held by brokerage firms other than the owner of this site are marked with the listing broker's name and detailed information about such listings includes the name of the listing brokers. ©2019 Northeast Florida Multiple Listing Service, Inc. All rights reserved. Data last updated 4/26/2019 3:34 AM CST.